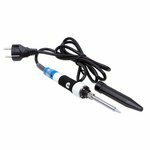 Accta 301 offers compact design, temperature display, hot air gun auto switch-off, 50 W soldering iron, 350 W hot air gun, soldering iron and hot air gun temperature range: 80-480°C. 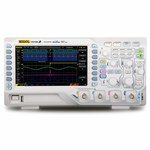 Four-channel digital oscilloscope with 50 MHz bandwidth, 1 GSa/s real-time sample rate, 7" display and up to 30,000 waveforms/sec capture rate. 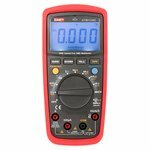 True RMS digital multimeter which measures AC/DC voltage, AC/DC current, resistance, capacitance, frequency, temperature and can be used for continuity and diode tests. 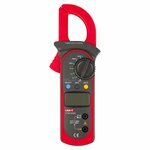 The reliable device for measuring AC and DC voltage, AC current, resistance, frequency, duty cycle, performing diode check and continuity test. 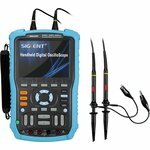 Designed for measuring cable length up to 1200 m (4000 ft), locating and verifying the cable status and wiring troubleshooting. Multipurpose repair kit designed specially for recovery of huge circuit boards such as motherboards. 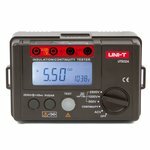 Power: 2500 W.
A device for AC/DC voltage, continuity and phase rotation tests, for short circuit, positive and negative polarity and single lead (L2) voltage detection. 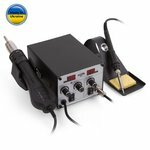 Powerful 3 in 1 lead-free rework station, equipped with a soldering iron, built-in smoke absorber and a desoldering gun. 2 channels. 100 MHz bandwidth. 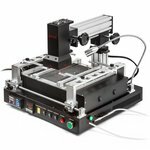 1 GSa/s maximum real-time sample rate, 25 GSa/s maximum equivalent sample rate. 1 Mpts memory depth. 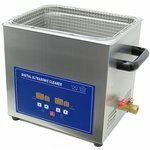 Powerful unit with digital timer and heater. 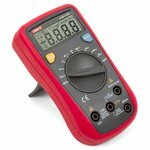 Tank capacity 10 l.
Auto-ranging digital multimeter for measuring functions: AC/DC Voltage, AC/DC Current, Resistance, Capacitance, Frequency, Duty Cycle and for testing diodes. 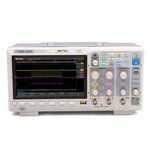 Measuring resistance from 0 MΩ to 20 GΩ. 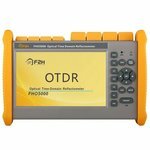 Test voltages may be selected between 500 V / 1000 V / 2500 V.
Singlemode/multimode optical time-domain reflectometer. 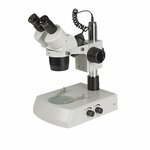 Wavelength: 850/1300/1310/1550 nm. Dynamic range: 19/21/35/33 dB. 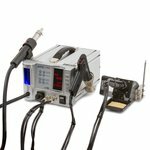 Powerful (90 W) ESD safe soldering station with LCD display, temperature adjustment from 80 °C to 480 °C and temperature stability of ±2 °C. 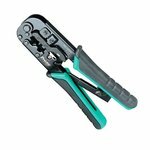 Telcom crimping tool for Western connectors (RJ10, RJ11/12, RJ 45) with ratchet mechanism. Material: S45C steel. 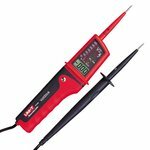 Compact and lightweight iron with high output ceramic heater (70 W). 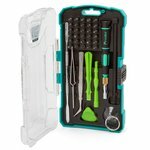 Precision screwdriver bit set, which features 30 bits and 10 essential repair tools for mobile phones, game consoles, notebooks and other devices. Compatibility: iPhone 4, 4S, 5, 5C, 5S, 6, 6 Plus, MacBook Air and MacBook Pro.